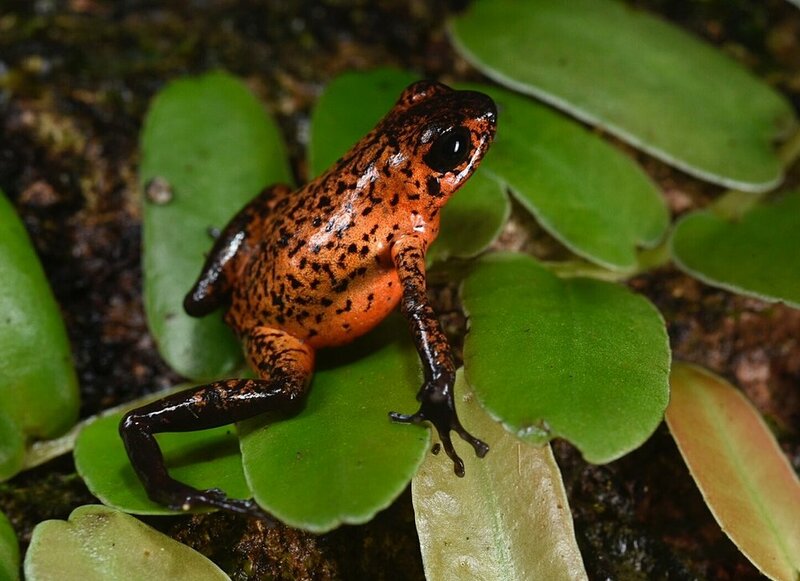 Given the region, mostly a blizzard of strawberry poison frog (Oophaga pumilio) morphs - but for now we lead with "something completely different”. Oophaga granulifera, green phase, San José Province, Costa Rica (Image: F. Muller). Dendrobates auratus, Santa Fé, Veraguas, Panamá (Image: F. Muller). 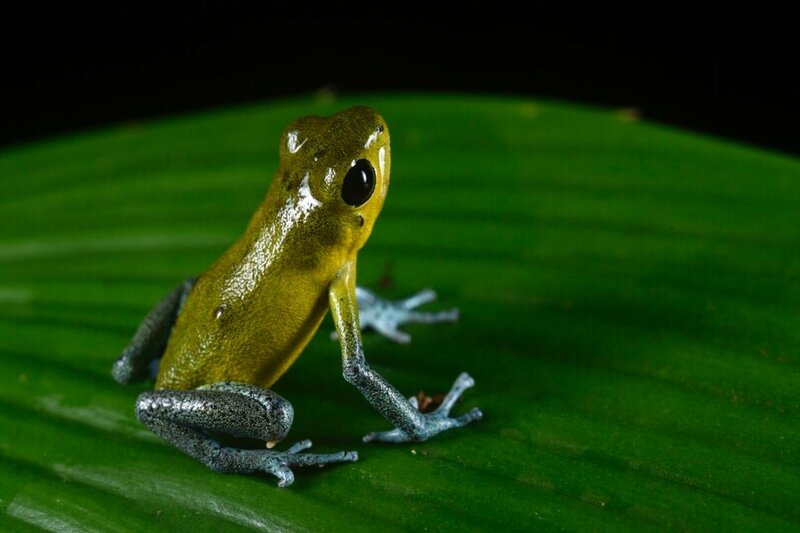 Oophaga pumilio - classic “blue jeans” strawberry poison frog, Limón Province, Costa Rica (Image: F. Muller). Oophaga pumilio, gold and gray morph, Bocas del Toro, Panamá (Image: F. Muller). Oophaga pumilio, pure orange morph, Bocas del Toro, Panamá (Image: Fred Muller). Oophaga pumilio, green and blue morph, Bocas del Toro, Panamá (Image: Fred Muller). 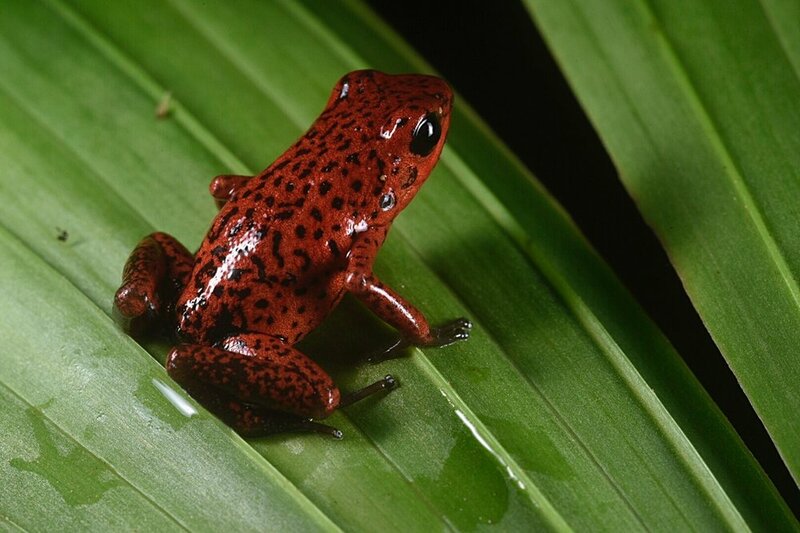 Oophaga pumilio, red morph, Limón Province, Costa Rica (Image: F. Muller). Oophaga pumilio, all blue morph, Bocas del Toro Panamá (Image: F. Muller). 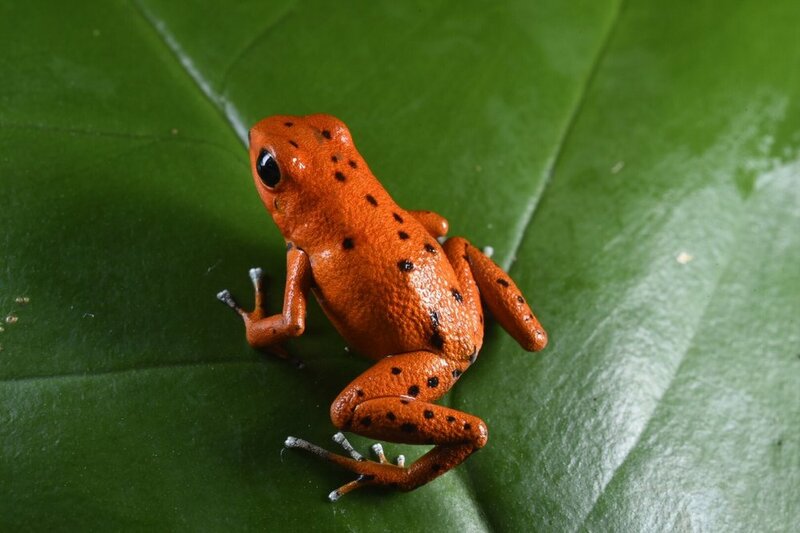 Oophaga pumilio, polka dot orange morph, Bocas del Toro, Panamá (Image: F. Muller). Oophaga pumilio, “strawberry morph”, Limón Province, Costa Rica (Image: F. Muller). Oophaga pumilio, yellow and sky blue morph, Bocas del Toro province, Panamá (Image: F. Muller). Oophaga pumilio, bullseye bronze-legged morph, Bocas del Toro, Panamá (Image: F. Muller). 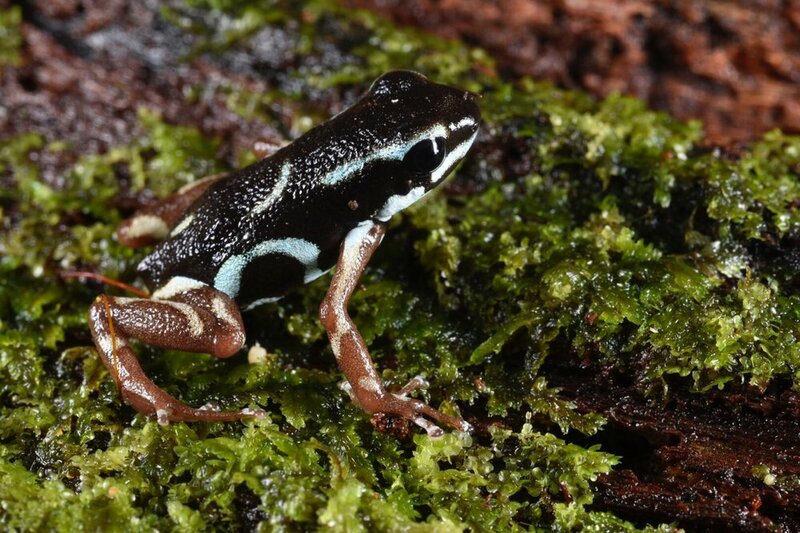 Oophaga pumilio, pretending to be a blue Dendrobates auratus. Las chicas apparently dig it. Bocas del Toro Province, Panamá (Image: F. Muller). This is why they call Oophaga species “thumbnail poison frogs”. Mature Oophaga pumilio, red morp, Bocas del Toro Province, Panamá. Oophaga pumilio, blue bulls-eye morph, Bocas del Toro, Panamá (Image: F. Muller). Oophaga pumilio, dusky orange morph, Limón Province, Costa Rica (Image: F. Muller). Oophaga pumilio, black-spotted gold and sky blue morph, Bocas del Toro, Panamá (Image: Fred Muller). 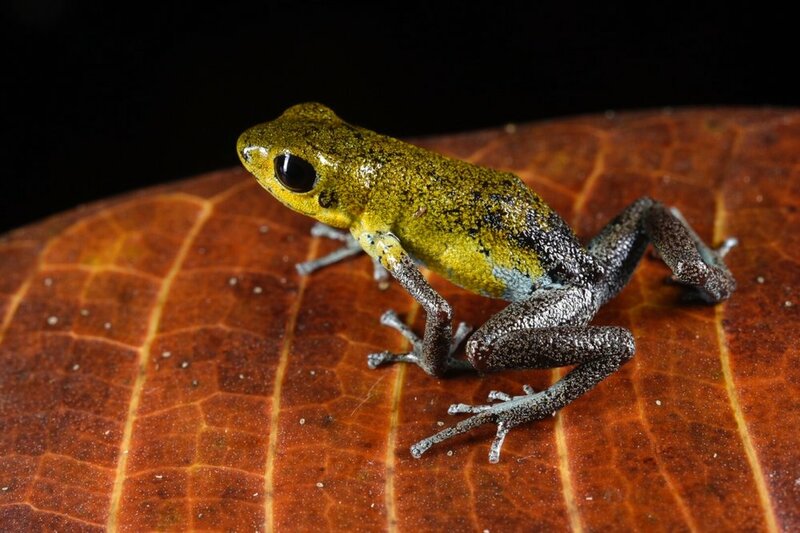 Oophaga pumilio, another "false auratus" morph , Bocas del Toro, Panamá (Image: F. Muller). “You’re a very fine person, Mr. Baggins, and I’m very fond of you, but you’re only quite a little fellow in a wide world, after all”. (Image: F. Muller, quote J.R.R. Tolkien).